Discussion in 'Archive' started by [GM]Ryu, Feb 7, 2019. Love is in the air! As warriors in a feudal land, it's hard to find a romantic place to escape from the heat of battle. Show us your idea of a romantic getaway and you may win some great prizes! EVENT DURATION: February 7, 2019 – February 21, 2019. Look for a romantic setting in-game and take a screenshot. Crop the UI out of the screenshot and add creative Valentine message (text). Post one screenshot by replying to this contest thread. Contest begins February 7, 2019, and ends at February 21, 2019. All entries must be submitted in this thread by the end duration date. Winners will be announced on February 25, 2019. Each participant is limited to one entry. We will be checking for duplicate accounts. Prizes will be granted as-is to the posting account; no substitutions will be offered and we will not transfer your prize to a different account. You can edit your screenshots using any type of graphics software and designs. Entries cannot contain any copyrighted material with the only exception to material copyrighted by RedFox Games & 12Sky2 Classic. This thread is reserved for submission entries. Any other unrelated content will be removed. Entries will be judge base on overall creativity and design base on the Valentine's Day theme. 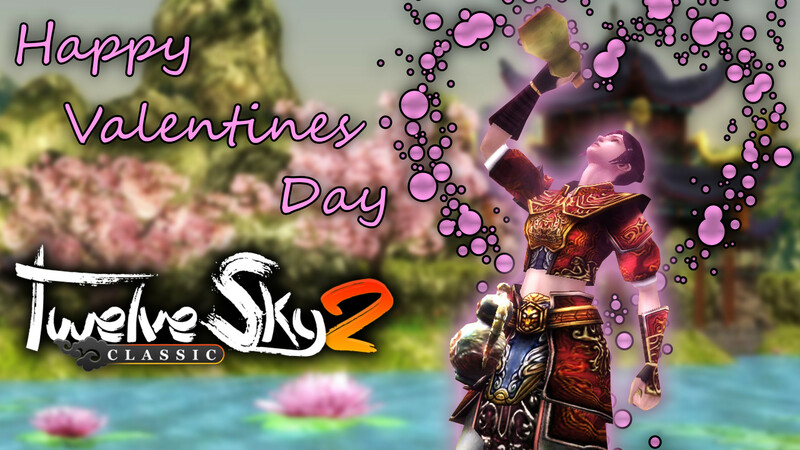 We are excited to announce the winners of the Valentines Scenery Event. Congrats to all the winners! Be sure to also check your inventory later for your Premium H.N.Y Box! Prizes will be distributed by: February 25, 2019. MinhChu and Xeon03 like this. Justine125, tinoy, LeoLewis18 and 1 other person like this. LOVING IS NOT JUST LOOKING AT EACH OTHER, ITS LOOKING IN THE SAME DIRECTION. ALL I NEED FOR A PERFECT DAY IS YOUR SMILE. View attachment 25169 ALL I NEED FOR A PERFECT DAY IS YOUR SMILE. is that mandatory to participate? It seems like you have the actual in-game characters with your submission, so we can accept the entry. Although we will be looking for several winners base on the entries that shows the most creative Valentine theme scenic images. I hope everyone is Enjoying Valentine's Day!